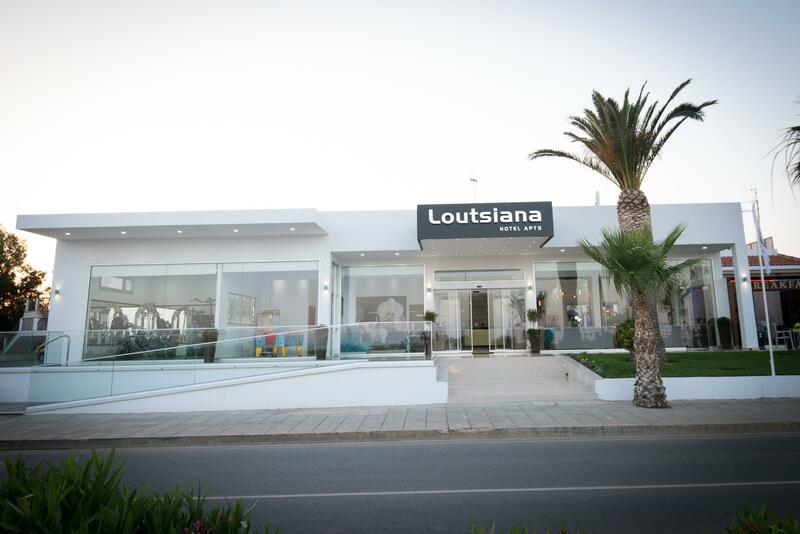 Loutsiana offers modern, spacious and decorated rooms in soft summer colours with wooden furnishings. Each is equipped with a flat-screen TV, safe box and air-conditioning. Free wifi access is also offered in all areas of the hotel. All guests can enjoy amazing views of the Mediterranean waters as all balconies are facing the sea. Additionally some rooms are overlooking the pool. 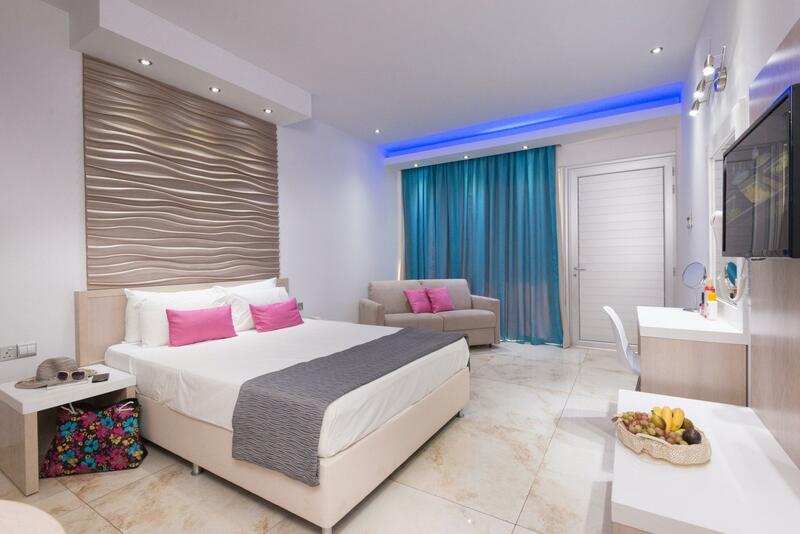 Loutsiana is a family-run apartments situated on the outskirts of Ayia Napa enjoying a quiet location that provides a friendly and relaxed environment. Loutsiana Hotel Apartments have been undertaking major renovations the past few years that have brought the facilities and rooms up to a high standard. Rooms have fully equipped kitchenette with kettle, fridge, toaster and a coffee maker. They also fully air-conditioned and come with a large balcony or terrace, free Wi-Fi and an LCD TV. 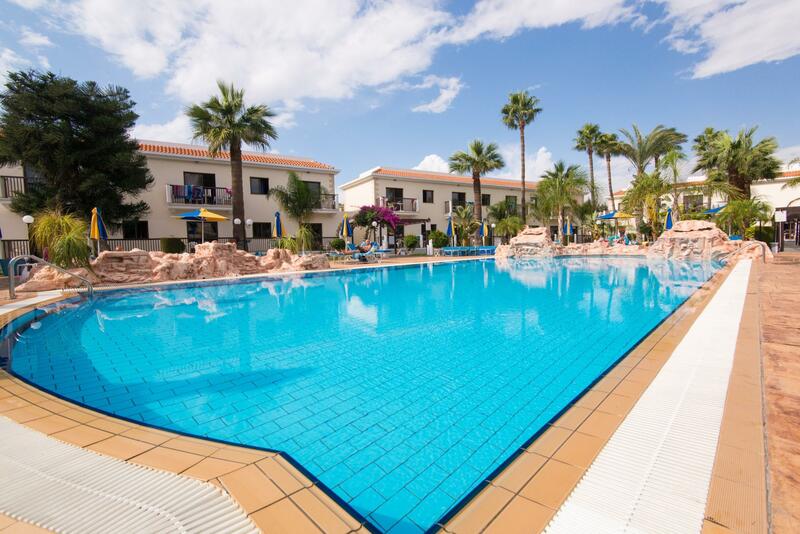 Between the beautiful gardens is the large swimming pool which operates from 8:00 – 20:00 so customers can enjoy a piece of paradise during the warm summer months. Our accommodation has been awarded a certificate of excellence by TripAdvisor. Our beloved customers have showed us their love by rating us as one of the top Hotels in Ayia Napa.